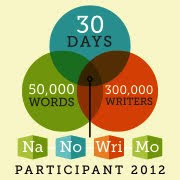 Today I have my very good friend and sister, Sharon Hinck, blogging with me! 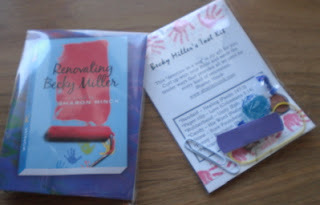 Sharon's latest latest mom lit novel is Renovating Becky Miller! * Budget the gross national product of a small country--then double it. * Never, ever invite your mother-in-law to stay with you during a remodel. * Figure out how to heat the living room before inviting your Bible study group over. * Stock up on Tylenol and chocolate and sandbags. * Hire a professional to fix the plumbing. * Sometimes renovation is an inside job. In addition to being a young mom, Becky Miller is a daydreamer. Most recently, she's been envisioning herself in the happy endings she sees during her weekly movie nights with husband Kevin. But her real life feels more like a broken filmstrip, spinning out of control! Thank you so much for inviting me to your blog during my “Around the World Blog Tour” for Renovating Becky Miller. I’m so excited that the novel about Becky’s next adventure is releasing this month. 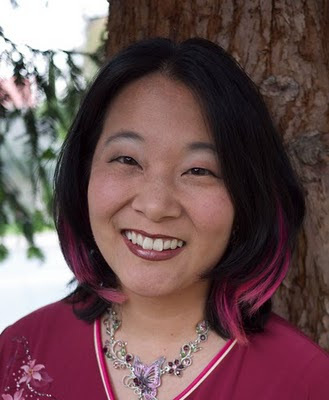 I’ve heard from so many women who read The Secret Life of Becky Miller and related to her gung-ho and slightly askew view of life. I think this new chapter in Becky’s life will also resonate with women who are fulfilling a variety of roles, and trying to fix each problem that comes along. To celebrate the book’s debut, I created some gifts for everyone who came to the first book signing. The good news is, I figured out a way to share this gift with your readers. 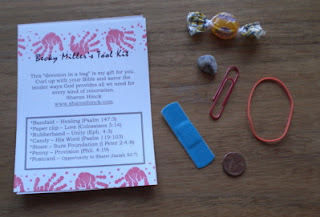 The Becky Miller Tool Kit is a devotion experience. Since Renovating Becky Miller is set amid the chaos and surprises of fixing up an old home, I did a lot of thinking about tools. I looked in scripture for some of the tools that God provides us in our efforts to serve Him – and tools He uses to do His amazing renovation on our hearts. Then I gathered tangible objects to serve as symbols. For a special devotion time, gather the small items on the list. Then read the Bible verses and pray about ways you see God providing that quality, and ask Him for guidance to use those tools to bless the people in your life. I always loved object lessons when I was a child, and this is a grown-up version. I’m including photos so everyone can see how the “Devotion in a Bag” was put together, in case they want to make some. Feel free to adapt this idea for use with women’s groups, retreats, or Sunday schools classes! Camy here: What can I say? The woman knows me too well. This “devotion in a bag” is my gift for you. Curl up with your Bible and savor the tender ways God provides all we need for every kind of renovation. After your devotion time, come on back and share some comments. Which item do you feel the biggest need for right now? Which one of these gifts from God helped you recently during a tough time? How has God been renovating your heart in the past weeks? Thanks again for letting me pop in to visit! Camy here: Thanks so much, Sharon! How has God been renovating my heart the past few months? I think I’ve been learning the true meaning of the phrase to “fear the Lord.” It brings to mind the power of God, but also the fervor of His love for me. How about you? Any neat “renovations” God has done for you the past month? It’s only a few weeks into 2007, but has He spoken to you? I love the Tool Kit! The book sounds great too...so enter me! Sounds like a great book...love the tool kit! 'tis cool! That exerpt sounds good. Seems like a perfect book to share with my sister. Count me in please. God watched over me when I was in the hospital Tuesday for some tests on my stomach. Please enter me in your book giveaway, Camy. Thanks. You've given me much to think about. 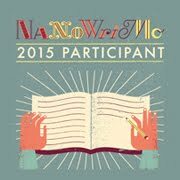 I'd love to be entered. The book sounds good and the devotional idea is great. I think God has been changing the way I have faith in Him... how to have the faith to believe that all things are possible - yet He can choose to glorify Himself by not answering my prayers, too. Please include me in the draw, Camy! The tool kit is cool and the book sounds great. Please enter me. I still haven't read the first one, but would love to have a chance at this one! I need some renovating and so do my digs. This sounds as if it has great advice on both. please enter me. sounds cool.